Multi-Functional Backpack Just 39.99! Down From $112! Shipped! TODAY ONLY! 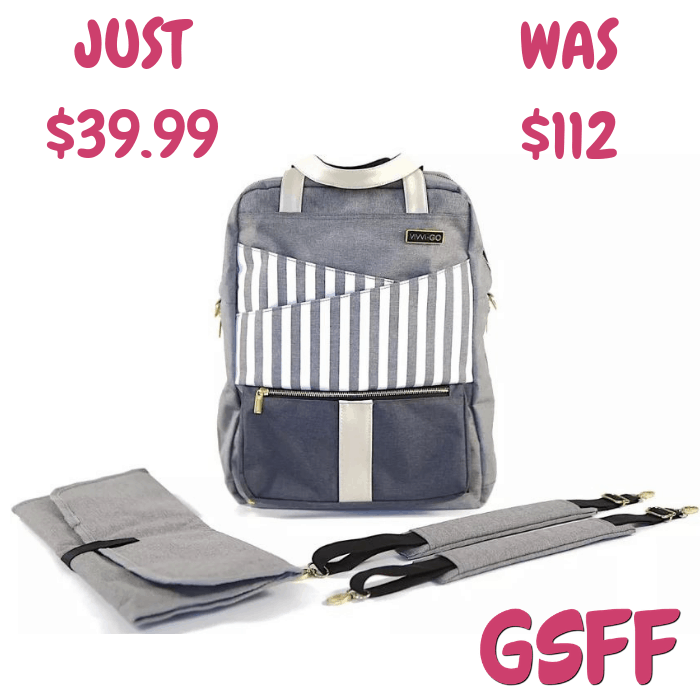 Jane has this Multi-Functional Backpack on sale for just $39.99 down from $112 PLUS FREE shipping! This bag is a head turner and you will get compliments everywhere you go. Large enough to fit everything you need with multiple compartments including an insulated bottle pocket. Straps are versatile to make it more convenient whether attaching to a stroller, thrown over the shoulder or backpack style. Don’t you just hate when what you need is at the bottom of your bag and as you’re looking for it everything gets completely unorganized and a jumbled mess?! This has been completely solved with a velcro divider that is inserted 3/4 down with a special second opening that allows you to access the items under the divider with ease. This bag comes with multi-functional straps, changing pad and a removable velcro divider for all your convenience needs. 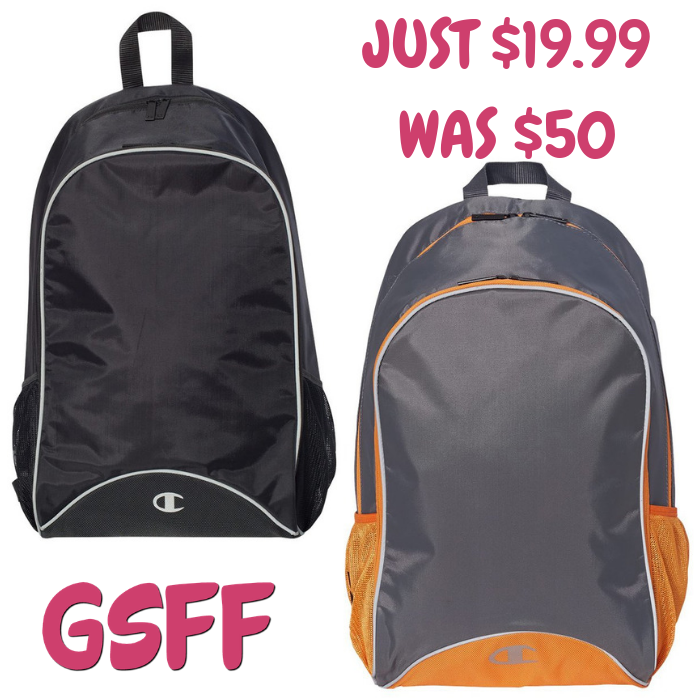 Champion Capital Backpack Just $19.99! Down From $50! Shipped! Hurry over to Proozy where you can score this Champion Capital Backpack for only $19.99 down from $49.99 PLUS FREE shipping! This backpack is perfect for you next trip! It has padded and ventilated adjustable straps with compartments! It’s a great gift idea too! 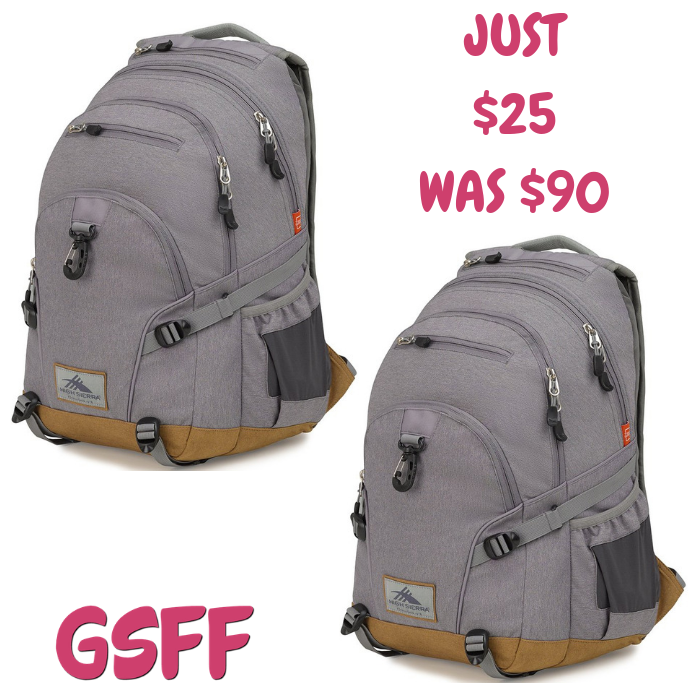 High Sierra Backpack Just $25! Down From $90! Shipped! Head over to Proozy.com where you can get this High Sierra Backpack for just $25 down from $90 PLUS FREE shipping! Large-capacity multi-compartment backpack designed with a fully-padded dedicated laptop sleeve with tricot lining. This backback is lined with tricot media and key fob pockets. The backpack comes with soft touch shoulder straps with webbing loops for attaching extra gear and has adjustable side compression straps with a soft touch padded back panel. This Super Loop backpack has a front attachment clip and the heavy-duty padded webbing handle that can support the 33L holding capacity of the bag.